And it’s because we pioneered independent jet chartering in the Northwest. Locally owned and operated for 40 years, we’ve honed the art of on-demand private jet transportation. Moreover our impeccable safety record, far-reaching fleet, and tailored onboard experience are a testament to our commitment to you. Charter flights from Boeing Field in Seattle to points across the Americas. So let us whisk you off on your next journey. 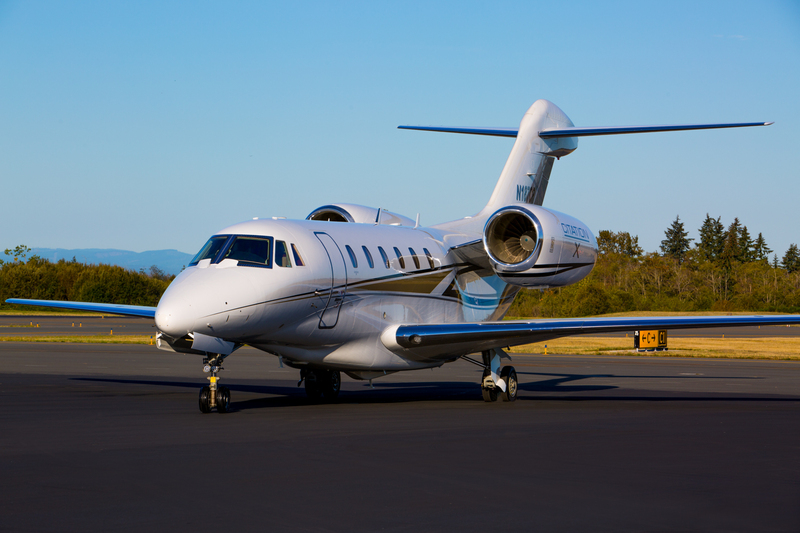 Locally owned and operated in the Pacific Northwest for over 39 years, Erin Air has a fleet of Citation Jets that are chartered across the Americas and Hawaii. We are a charter jet service located at Seattle’s Boeing Field. Our full-time professional pilot staff is meticulously picked and receives recurrent training at the top FAA training facilities in the US, while our owned Maintenance Facility expeditiously cares for our aircraft and ensures safety in flight. With over 50,000 hours of operational excellence our pilots will get you to your location safely. Erin Air’s customer service staff takes care of your on-demand charter jet needs: we are known for our personalized offerings and high level of service. Whether traveling for business or pleasure Erin Air is here to serve your needs. The Citation X is the fastest private jet on the market today. It tops out at speeds over 700 mph and we can assure you you’ll get to your destination quickly. The highlights also include a nine-person capacity, Onboard WiFi, and a cruising speed of 590 mph. The Citation Excel is the most popular business jet in operation today. It provides our clients tremendous comfort in their trip and operating efficiency passed on in the value. The highlights of this aircraft also include an eight-person capacity and Onboard Wifi. In addition it has a cruise speed of 510 mph. Our 2004 Citation Excel is a beautiful airplane. It offers identical performance to N1MM and we’re able to offer more clients the same opportunity of luxury and performance. Additional highlights include an eight-person capacity and Onboard WiFi. Also, a cruise speed of 510 mph. This plane has a 2,100 nautical mile range.